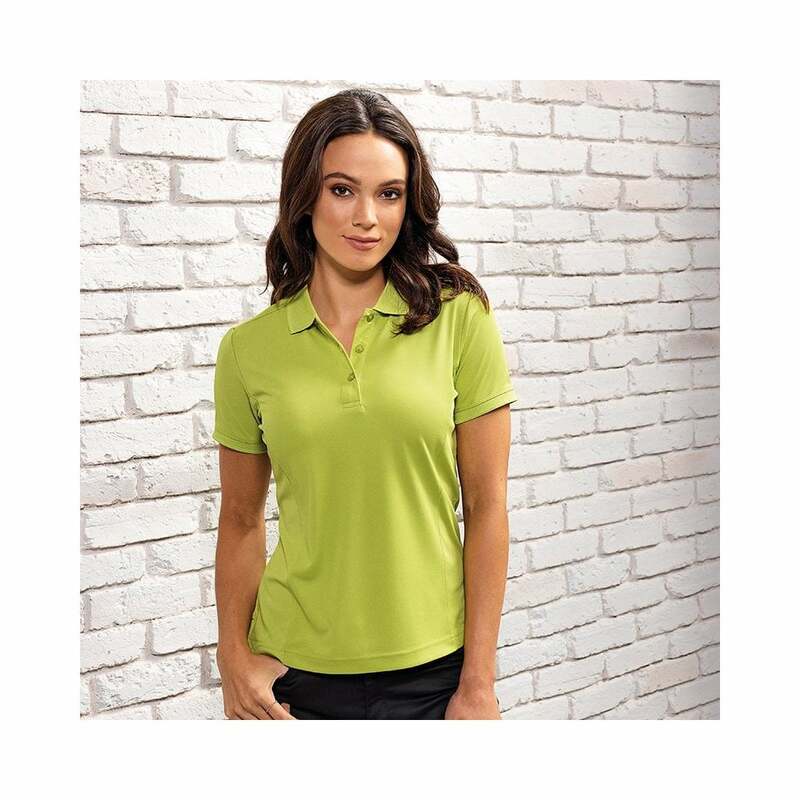 Premier Women's Cool checker Pique Polo this ladies fitting polo t-shirt is made from 100% polyester and has side panel detail to flatter the female figure. A stylish knit collar and 3 button placket to the neckline make for a modern piece of work wear which acts as a smart alternative to a blouse. This polo shirt is available in a range of 24 bright colours.